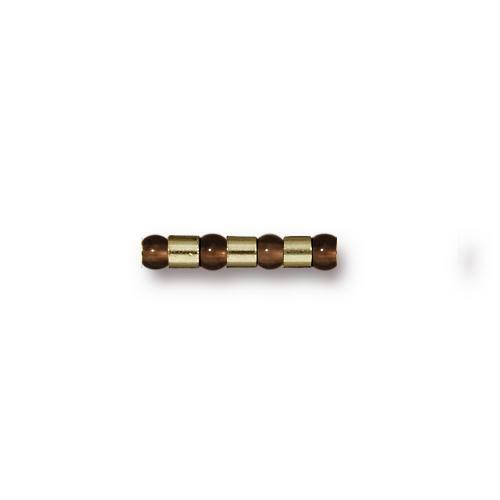 TierraCast Brass Oxide 2x2 Tube Crimp. Brass Oxide Pewter, gold toned. This is a sturdy tube crimp. Works well with a fold over crimping tool. A good match with TierraCast Brass Oxide, antique gold & antique brass. Packs of 50.